Like a royal collar, this necklace sits right there near the collar bone in the perfect, royal location. 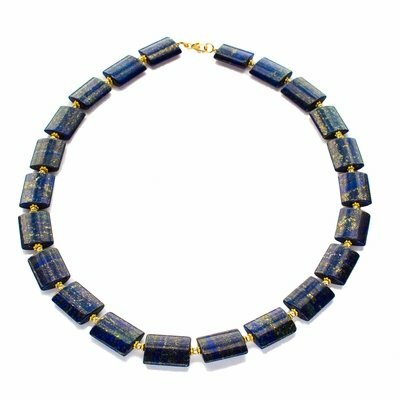 It is 22 inches of beautiful lapis lazuli with pyrite and gold-filled spacers. Your chariot awaits.